Designer and architect Matteo Ragni set up TobeUs in 2007 after realizing the toys his children were playing with cheap and disposable. Made of Lebanese cedar by craftsmen in Lombardy, the toys produced by the company are basic but durable. 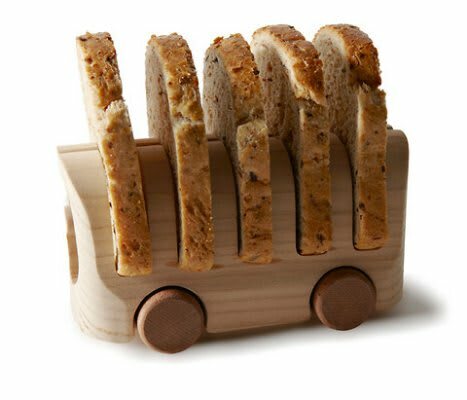 Based on the same principles as the company was founded on, he is now opening an exhibition at National Science and Technology Museum in Milan, wherein 100 designers will produce 100 different creative version of basic wooden toy cars. Click through the thumbs above for a look at some examples of the work to be displayed and check out a video describing the ideas behind the TobeUs company.